Costa Rica News – For many college students, a trip to Costa Rica over spring break sounds like a restful week of vacation filled with sunshine and sand. But for 10 graduate students at East Tennessee State University, their recent adventure to the Central American country meant so much more, and continues to leave a lasting impression on each of their lives. 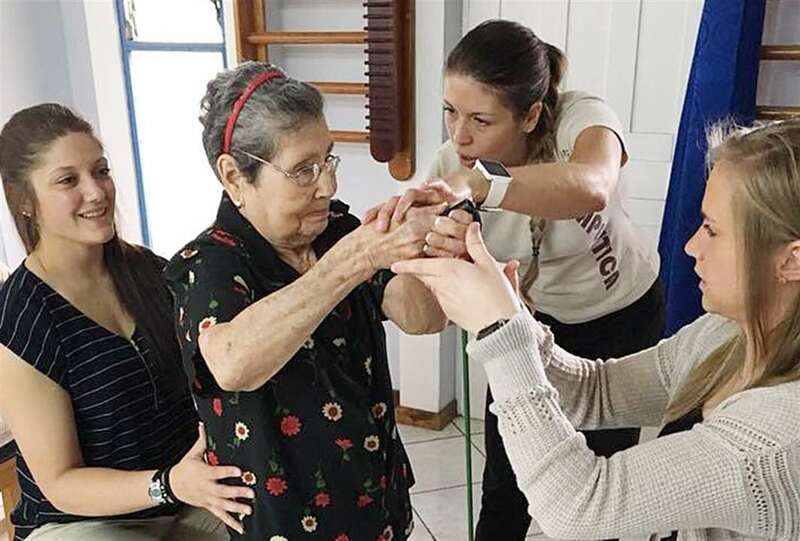 For the first time ever, ETSU’s College of Clinical and Rehabilitative Health Sciences partnered with the University of Santa Paula to offer an international interprofessional experience that brought four speech-language pathology students and six physical therapy students from ETSU to Costa Rica to provide health care to the people of that region. The students, guided by ETSU physical therapy assistant professor Dr. James Boone, collaborated with faculty and students at the University of Santa Paula in the evaluation and treatment of both physical therapy and speech therapy patients, providing services in varying clinics, classrooms and communities. They provided care for adults as well as children. Younger patients sought treatment for developmental delays while many of the adults experienced dementia or Alzheimer’s disease. Physical therapy students additionally treated patients diagnosed with cerebral palsy. The weeklong trip marked the first time in another country for fellow physical therapy student Grace Ivy. While the differences in care opportunities certainly caught her attention, it is the people of Costa Rica that she said she will remember most. First-year speech student Megan McAllister was one of the younger students to go on the trip but considered the experience the perfect way to throw herself into her journey as a speech-language pathologist. For Lindsay Draper, who graduated with her masters of science in speech-language pathology earlier this month, the trip was a much-needed culmination of her educational journey. Boone, who has gone to Costa Rica to serve, said the experience is exactly what students need to better understand not only their future professions and the ability to work collaboratively, but also that there are many needs all over the world and they do have the ability to make a difference in people’s lives. 1. Unionized government employees who make 100X of those who pay their salaries. Years ago I happened into a CR Retirement Home in Nicoya, & still have nightmares about it. 15 years ago I requested a colonoscopy, & have yet to know if/when a date will be issued. My best friend has horrible bleeding hemorrhoids, waited years to see a doctor & years more to go to the hospital. After three hours traveling to the hospital, a guard met him at the door & said the hospital was closed for Fiestas.